Columbus, Ohio. 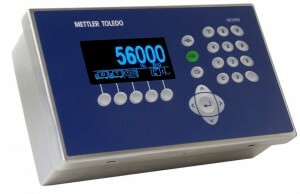 July 25, 2013 – METTLER TOLEDO has introduced a new process weighing software, the IND560fillplus. This new formulation solution meets the needs of basic and complex filling and blending applications, while preserving the ease of use associated with METTLER TOLEDO’s IND560 family of terminals. IND560fillplus users meet product accuracy goals thanks to programmable spill values and jog functions. To reduce errors, operators no longer need to enter formulas manually ; they can be retrieved from memory. FillPlus performs rescaling based on a percentage of the programmed target, percentage of the available amount of material in a formula, or a desired total formula weight. The IND560fillplus provides users with a way to automatically combine multiple materials in a single weigh-in cycle. FillPlus enables the storage, retrieval and rescaling of up to 25 formulas. In addition, the IND560fillplus lets each of the 25 formulas have its own designated auxiliary output turned on and off based on the weight or production time requirements of that particular formula— an industry-leading advancement in enhanced automation. For additional details on the new IND560fill plus, visit www.mt.com/ind560fillplus.